Should state regulators update their own annuity sales standards in light of the DOL fiduciary rule uncertainty? State governments may respond to uncertainty about the U.S. Department of Labor fiduciary rule by updating their own annuity sales standards. A new Annuity Suitability Working Group is deciding whether the National Association of Insurance Commissioners should update the NAIC’s Suitability in Annuity Transactions Model Regulation (Model Number 275). The NAIC gave the model its last major update in 2010. The working group is also supposed to come up with ideas for persuading more states to adopt the 2010 version of the model. The working group met in person for the first time Saturday, in Denver, at a session at the NAIC’s spring meeting. The working group heard presentations from NAIC staff members, consumer groups, insurance company representatives and insurance agent group representatives. The working group is part of the Life Insurance and Annuities Committee. Members of the committee decided to create the working group in February, during a conference call meeting. Regulators agreed that President Donald Trump’s push to delay implementation of the DOL fiduciary rule makes this a good time to review the NAIC’s annuity suitability model. James Regalbuto, New York state’s deputy superintendent for life insurance, wants the working group to take a comprehensive approach to dealing with any gaps in financial services sales standards. Regalbuto said state regulators should “fill in what the DOL fiduciary duty rule does not cover,” according to the committee conference call minutes. The Life Insurance and Annuities Committee included a copy of the minutes in a document packet for the spring meeting. 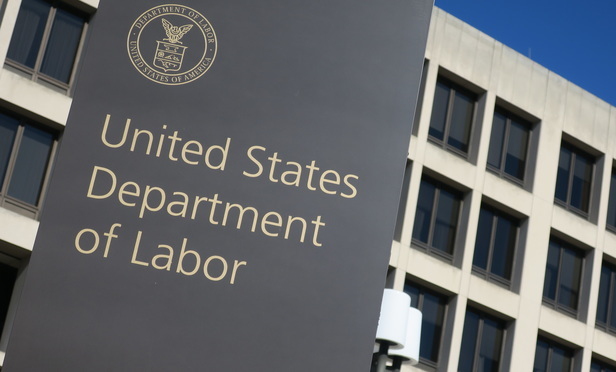 Labor Department officials have been trying to set standards for the sale of annuities and other products to federally regulated retirement plans and arrangements. Traditionally, states have been responsible for regulating the sale of insurance products, including annuity contracts. Each state sets its own rules for insurance sales. The NAIC can propose models, or examples of what an insurance law or insurance regulation might look like. The NAIC cannot require states to adopt its models. Adoption rates vary widely. Thirty-nine states and the District of Columbia have adopted the complete 2010 version of the NAIC’s annuity suitability model. Nine jurisdictions, including North Carolina and Pennsylvania, have not adopted the 2010 update, according to an NAIC staff report. The DOL fiduciary rule would require annuity sellers to avoid any potential conflicts of interest, and to put the interests of the buyers ahead of their own. Sellers would also have to disclose any conflicts that might exist. In practice, the rule and related regulations could make earning commissions from annuity sales difficult. The 2010 version of the NAIC’s annuity suitability model requires insurers and annuity sellers to go through an extensive verification process to make sure that an annuity will be suitable for the consumer thinking of buying the annuity. The seller is supposed to consider information such as the consumer’s financial status and investment objectives. The insurer is supposed to review all recommended annuity transactions for suitability at the time of sale.